The Prelude desk top unit features an extrusion with two separate compartments. Power and data wiring may then be completely segregated. This allows shorter more compact units. Data connectors may be mounted in the end caps allowing the lower compartment to be used as a wipe in facility for storage of excess cables on the desk top. Prelude may be mounted vertically or horizontally yet is capable of providing all the facilities required in the modern office. 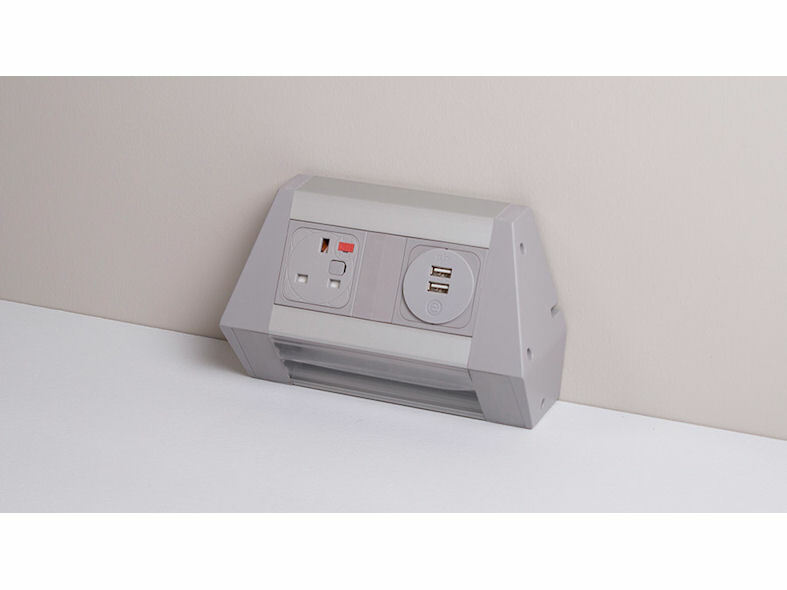 Prelude is suitable for Hot-desking, personal power as well as assisting in meeting the requirements of the Disability Discrimination Act (DDA) in the workplace by providing facilities accessible to all on the work surface. 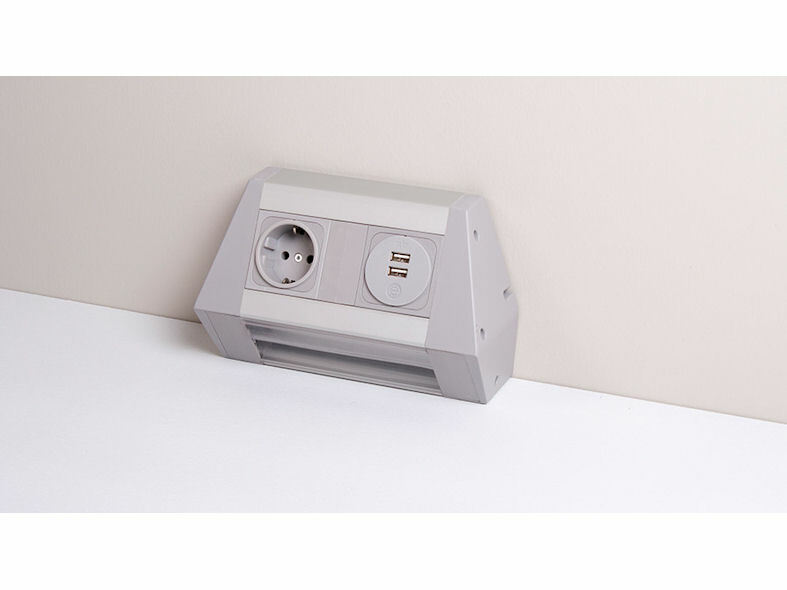 Used in conjunction with underdesk units Prelude provides a total solution for power and data connectivity at the workstation. 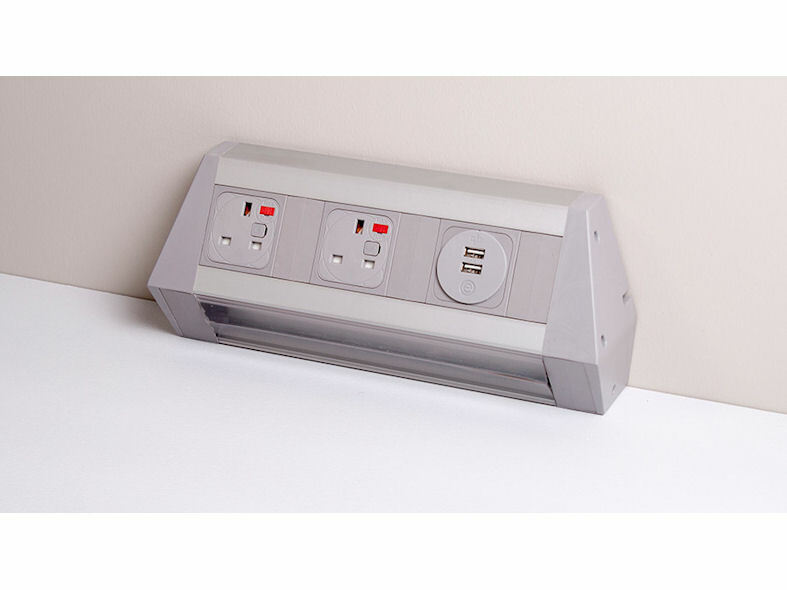 Based on an aluminium extrusion in lengths of up to 3 metres, Prelude may be used to accommodate mains sockets, data and other connectors as a comprehensive desk top unit to the customers exact specification. 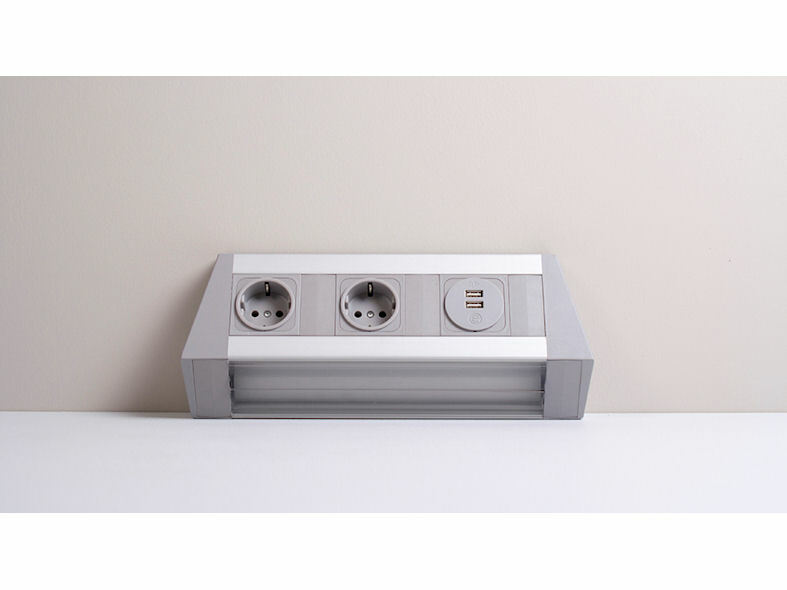 Mounted back to back, Prelude is an ideal solution for the provision of Power and data on Bench or Library style back to back workstation configurations. Prelude may also be configured as a screen or tool rail hung unit with brackets available to suit most types of installation. 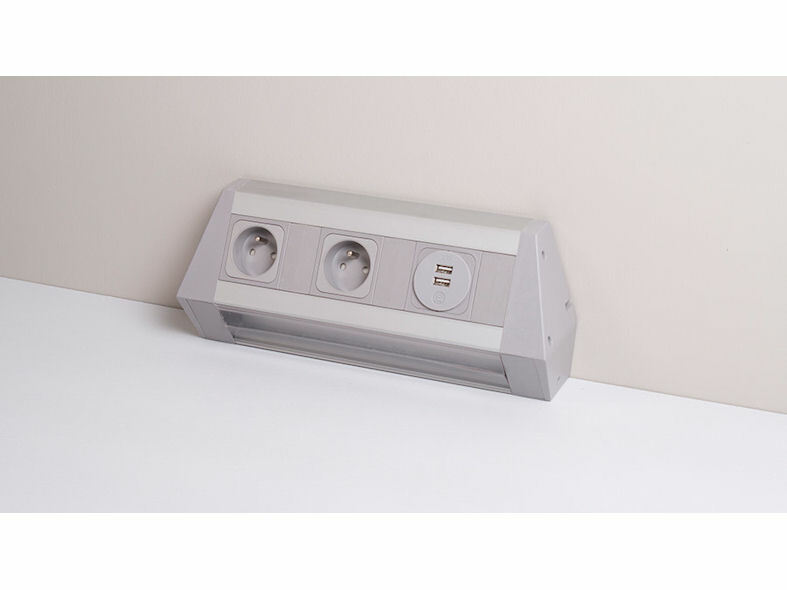 Standard colours - Silver anodised body - grey fascias and end caps. UK sockets incorporate fuses as standard with colour coded insets indicating fuse rating. Unfused sockets may be specified where applicable. All OE Electrics' products are manufactured to enable compliance with BS6396.